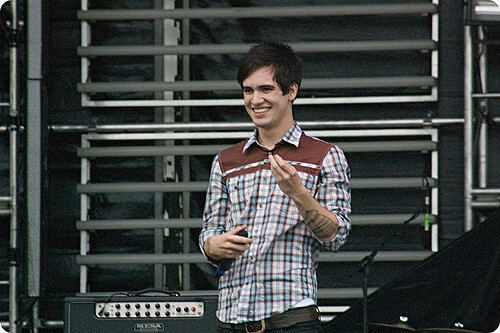 The frontman for the pop rock band Panic! at the Disco, Brendon Urie, has come out as pansexual. In an interview, he claimed to find an individual attractive regardless of gender. Urie, who is married, stated that he has been interested in both men and women. According to a recent survey of Americans, whether you have a negative or positive reaction to Urie depends on religion. Most Christians believe gender is determined at birth. Conversely, most nonreligious people think an individual defines their gender. The term “gender fluidity” is used when an individual shifts their gender expression between masculine and feminine. Gender fluidity does not mean sexual preference. Pansexuality is when your sexual preference is not based on a single gender. The surge of individuals who claim to be either gender fluid and/or pansexual has increased because of increased public tolerance and the ability of individuals to use the internet to learn about sexual identity. Christian groups believe this disrupts hundreds of years of tradition, including core concepts of Christian doctrine. Archbishop Paul Coakley called gender fluidity “the next tsunami that threatens to sweep away centuries of accepted human wisdom.” When comedian Sarah Silverman sent a tweet about the gender status of Jesus, there was a considerable backlash. However, not all religions have a binary system between men and women. Hinduism has deities who change their gender. Buddhism accepts that individuals can change their identity through reincarnation. There have also been examples when Jesus has been displayed in religious writing as a feminine figure. Given the rapid rise of the non-religious in America, especially for younger generations, it seems that some orthodox Christian views on gender will be diminishing in the future.